A world-class education has been a Colgate hallmark for nearly 200 years, and now the university aims to make this life-changing experience even more accessible thanks to joining the Coalition for Access, Affordability, and Success. The new coalition brings together more than 80 public and private colleges and universities across the United States in an effort to streamline the college application process for all students, with an increased focus on helping those from underrepresented groups, including low-income and first-generation households. Schools participating in the coalition are required to meet specific criteria designed to increase college affordability, access, and success for students from all backgrounds. Requirements include meeting full financial aid need of all domestic admitted students, and a six-year graduation rate of at least 70 percent (Colgate’s rate is 89.6 percent). The coalition’s free platform of online tools is designed to encourage early planning for high school students long before their senior year, and to help facilitate smoother financial aid applications. This new platform is slated to come online in January of 2016. Colgate’s participation in the coalition also creates a third application option for prospective students, and the university will also continue to accept the Common Application and the Universal Application. Colgate will begin accepting the new coalition application in the summer of 2016 for the Class of 2021. For more information, visit coalitionforcollegeaccess.org. What is the Coalition for Access, Affordability, and Success? The coalition represents more than 80 American higher education institutions that share a commitment to providing the best possible college experience, beginning with the college application process. Coalition schools offer an affordable education, promising low-cost, in-state tuition or to meet the full, demonstrated need of admitted domestic students. They also offer proven track records of student success, with graduation rates exceeding 70 percent at all coalition schools. Which schools are members of the coalition? A current list can be found here. Will more schools join the coalition? Absolutely! The coalition is open to further members, and the roster of schools will continue to grow. What are the goals of the coalition? The coalition was formed to improve the college application process for all students. For that reason, the coalition has designed and developed a system of online tools that will guide and support students throughout the process of finding a college home. Who is leading the coalition? The coalition is governed by a board of directors as well as a set of committees. Both groups are composed primarily of volunteers from coalition member schools. Why now? What brought the coalition together? A growing amount of research has shown that students from disadvantaged backgrounds often do not participate effectively in the college application process, struggle with applying for financial aid, and often do not get awarded all the financial aid they are entitled to. As a result, even some of the most highly qualified students do not attend college, attend colleges that do not engage their full potential, or do not complete their degrees. The coalition is developing a platform of tools to address these barriers and level the playing field for students from all backgrounds. What is the coalition’s platform of tools? The coalition is developing new college planning and application tools that will streamline the admissions and financial aid processes and allow students to begin planning for college much earlier in their high school years. The platform tools — which will include a digital portfolio, a collaboration platform, and an application portal — seek to recast the process of applying to college as the culmination of students’ development over the course of their high school careers, reducing the unfamiliarity of the application for all students. Who created the technology behind the coalition platform? The coalition has partnered with CollegeNET to produce their platform of tools. CollegeNET is a Portland-based technology developer with expertise in creating dependable, student-oriented programs and applications. When will the coalition platform of tools be released? The coalition portfolio and collaboration platform will be released in January 2016 for students to begin preparing materials for college. The coalition application will open in summer 2016. What is the coalition portfolio? The coalition portfolio is an immensely powerful tool for students to organize their personal goals and academic accomplishments as well as a platform to prepare materials for the college application process. What is the coalition collaboration platform? Eventually, the portfolio will also become a meeting place where counselors, teachers, and mentors can support the student’s college search and application through feedback and editing. The collaboration platform will also allow students and counselors to quickly contact their partners at coalition schools, facilitating communication and eliminating confusion. When will the portfolio and collaboration platform be released? The portfolio and collaboration platform will be opened to all students in January 2016. The coalition application is a cutting-edge tool for applying to more than 80 coalition schools. 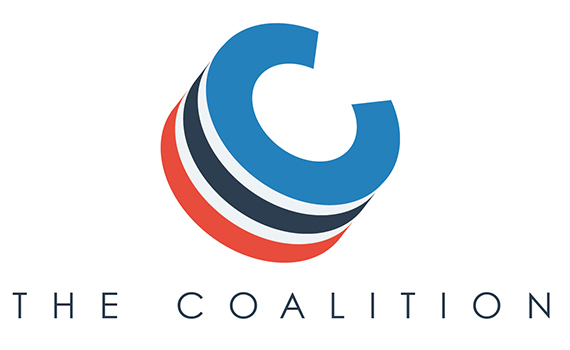 The coalition application features a modern, intuitive interface that adapts to a student’s life, providing a seamless experience whether engaging through a notebook computer, tablet, or even their mobile devices. The application has been designed to minimize student stress, confusion, and intimidation while empowering universities to ask questions that will reveal students with the greatest fit for their campuses. When will the coalition application be released? The coalition application will open in summer 2016 to graduating seniors in high school.